With a rich baritone voice that could easily rival legends like Tom Waits or Van Morrison, American singer-songwriter Sean Rowe stands out for all the right reasons. Not only are the songs on his debut record Magic enthralling as a listener, there is such a genuine grittiness to Rowe’s vocals that you are inclined to believe every bloody word he tells you through his songs. Sean Rowe is the real deal, man. 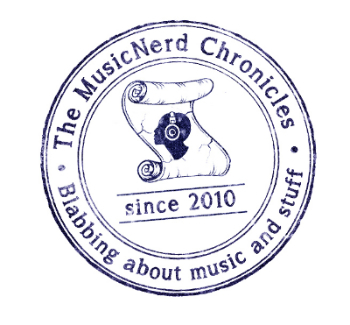 Recorded in Troy, an Eastern New York State city of approximately 50,000 people, Rowe tells The MusicNerd Chronicles that his Grandfather inadvertently helped his record come to life. “The record was made above a restaurant that my Grandfather used to own. It used to be the restaurant on the first floor however he had actually owned the whole building. We didn’t find this out until we were well into the process of recording though,” a friendly Rowe recalls. Does he believe it was fate that lead him specifically to that building or merely fate? Rowe says the studio above his Grandfather’s old restaurant was not in fact a studio at all nor was it built to any such specifications. It just happened to be a vacant space where Rowe set up shop. “For better or worse, the building was let go over the years. Proper upkeep wasn’t done so the heating was not really adequate, paint was peeling off the walls, the insulation was bad. But I also really enjoyed having that as part of the experience because it represents actuality and real life,” says Rowe. Admitting he was always interested in becoming a musician on a full-time basis, Rowe says he spent many years wondering whether this would truly be his fate or not. While he says that it took a long time to get some momentum behind him, he is reaping the benefits rather nicely these days with influential indie record label Anti- having signed him and released Magic internationally. Ironically, he notes, he was stalking Anti- long before they had even heard him sing a note.